Continuing a countywide trend seen for the past several months, Norfolk County Register of Deeds William P. O'Donnell reported that 2nd quarter (April-June 2018) real estate stats showed a reduced level of residential and commercial sales, while at the same time the price of the average property remains on the rise. Register O'Donnell noted, "During the recently concluded 2nd quarter, the average Norfolk County real estate sales price, both residential and commercial, rose 13% to $876,136. Total real estate volume, again both residential and commercial, was $2.9 billion, a healthy 10% increase year over year." Register O'Donnell further stated, "These 2nd quarter figures also show an overall 3% reduction in the number of properties sold countywide from 4,979 compared to 5,113 for the same quarter of 2017. These stats clearly indicate that low inventory is driving up prices. No doubt it's a buyer's market, but at the same time it's also making it harder for first-time homeowners to crack the market." For the 2nd quarter 2018, the number of land documents recorded, (such as deeds, mortgages, Homesteads, mortgage discharges, etc.) was 37,314, a 6% drop-off from the previous year. Register O'Donnell noted, "This decline can be directly attributed to the reduction in real estate sales and the continuing challenges in the lending market." There were 6,826 mortgages recorded at the Registry during the quarter compared to 7,255 for the same time period in 2017. Total mortgage borrowing was $4.0 billion for the second quarter compared to $3.7 billion during the 2nd quarter 2017. "Currently, we are seeing an uptick in mortgage interest rates," noted O'Donnell. "We are approaching a 5% interest rate which, while historically a relatively low figure, has not been seen for several years. It will be interesting to see how consumers react if the 5% interest rate level is breached." Norfolk County homeowners continued to benefit from the Homestead Act. A total of 3,353 Homesteads were recorded during the 2nd quarter, a 6% decrease year over year. "The Homestead law provides limited protection against the forced sale of an individual's primary residence to satisfy unsecured debt up to $500,000. 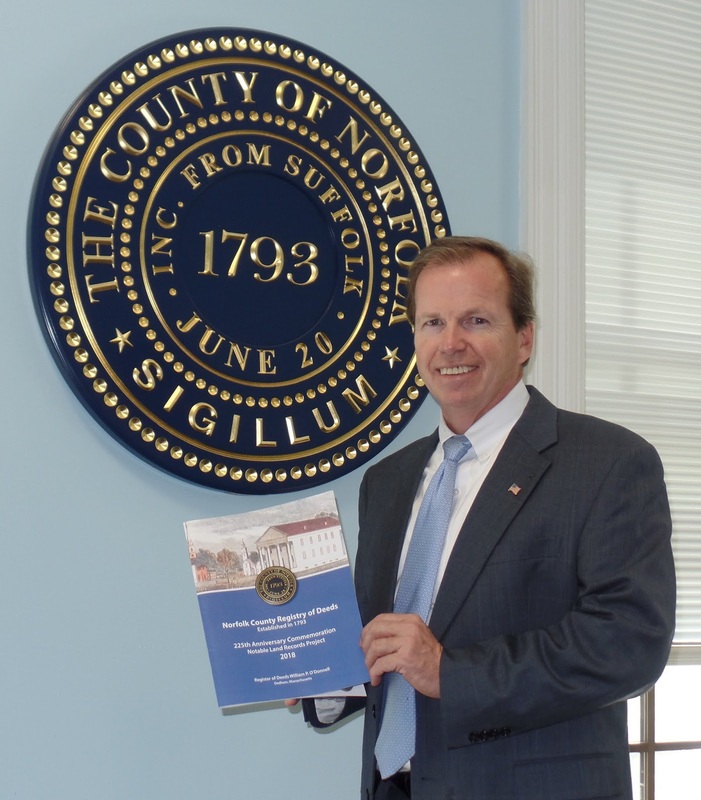 I urge Norfolk County residents to consider this important consumer protection tool," noted O'Donnell. Foreclosure activity in Norfolk County continued to show mixed results. A total of 48 foreclosure deeds were recorded versus 78 filed during the 2nd quarter of 2017. This good news was tempered by a significant 21% increase in the number of Notice to Foreclose Mortgage recordings, the first step in the foreclosure process. 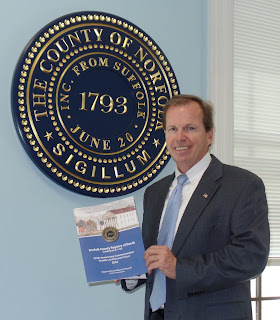 O'Donnell stated, "While the eastern Massachusetts economy remains strong, the foreclosure numbers tell us that there is a segment of the Norfolk County population facing economic hardship. The Registry continues to work with Quincy Community Action Programs, (617-479-8181 x376), and NeighborWorks SouthernMass, (508-857-0950) to help homeowners who have received a Notice to Foreclose Mortgage document. A third option is to contact the Massachusetts Attorney General's Consumer Advocacy and Response Division (CARD) at 617-727-8400." Register O'Donnell concluded, "The key variable is available real estate inventory. Until we see consistent growth, the housing market will remain challenged. Also, we need to see how prospective real estate buyers will react if interest rates, as anticipated, continue to rise."